It seems like every week there’s a new way for hackers to exploit businesses, steal data and cause business interruption. It’s dangerous and frankly scary for business owners when the cyber criminals always seem one step ahead of everyone else. “There’s certainly some up and coming risks out there - some things we’ve seen very recently are negative search engine optimisation and crypto-jacking,” explained Adam Marks, cyber underwriter for Hiscox. Negative search engine optimisation is where hackers or even competitors try to negatively impact your SEO or Google ranking by using a number of tactics including making your website look like spam, link farming, or even hacking your site. If your site is hacked, this proves a real risk to your data, which can cause enormous business interruption and reputational risk. Unlike other well-known data breaches, which mainly appeared in the media because they impacted a singular large company, the Office 365 breaches impacted multiple companies who all used the Microsoft Office 365 cloud service. This is part of the issue, Marks believes. SMEs are often targeted by hackers and cyber criminals, but many smaller companies aren’t aware that they are at risk. Larger companies are also more likely to have bigger security features in place, making SMEs a tempting target. “The papers only share those huge examples like the significant data breaches or the significant data interruption losses but it’s really a talking point around the SMEs,” Marks said. 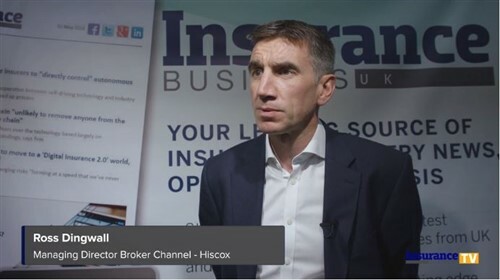 “Here at Hiscox, 75% of our claims we’ve seen in the last three years have been for companies below £10 million in revenue. When it comes to insurance policies, Marks has one major piece of advice - for businesses to go for customised and specific policies, not general ‘out of the box’ ones. “A small company should go for a specific cyber and data policy. There are a number of policies out there in the market which are catered to these type of incidents, but really we would recommend a specific policy that caters for those key cyber and data exposures,” he explained. Ensuring the policy is “future proofed” is also essential, so that when a new threat emerges the insurance still covers it. “And one which will be relevant for the years to come,” Marks said. “Because hackers are significantly experienced in this area and they are sometimes way ahead of the good guys at developing new exploits and developing new vulnerabilities.